The Flexstrider™ Variable-Stride Trainer lets exercisers change stride length on the fly and pick a workout that feels the most characteristic. The smooth movement of the variable-stride mentor feels more like running or running than any possible comparative item. The Flexstrider mentor is not difficult to utilize and welcoming for exercisers searching for an aggregate body, low-affect workout. 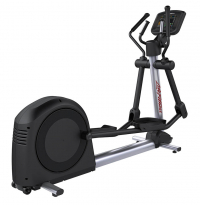 The Activate Series elliptical cross-trainer allows exercisers to enjoy an intense cardio workout that is also low-impact. The smooth, total-body motion burns more calories with less perceived exertion.